The land to the south of the village has been, for many years, a source of alluvial sand and gravel for the construction industry. 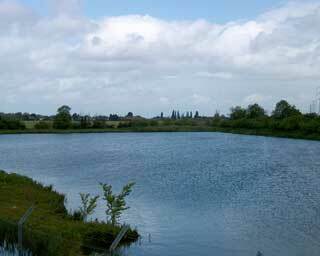 Many of the lakes that formed as a result of the workings were in-filled using surplus pulverised fuel ash (PFA) from Didcot Power Station. The PFA was mixed with water to form a liquid slurry, which was transported through underground pipes to the lakes where it was deposited. In due course the PFA settled out while the water was drained off. The PFA also contains small hollow silica/alumina spheres, known as cenospheres, that float to the surface and were harvested as a valuable raw material used in the production of special cements, flame retardants, etc. No, aliens have not landed in Radley! 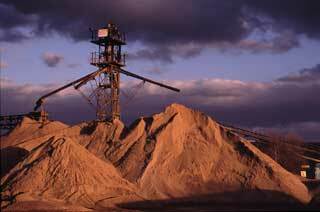 This is a picture, taken in 1994, of a Linatex Sand Plant astride a huge pile of sand at Tuckwell’s Thrupp Lane works. The sand tower and the associated processing plant were removed in 2012. 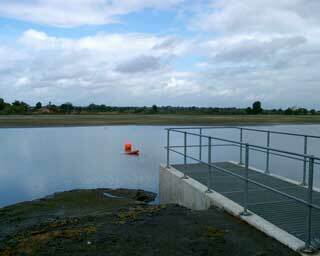 One of the lakes, lake ‘J/P’ originally created by sand and gravel extraction, as it was in 2003. This lake has since been filled with PFA and is currently (2014) in the process of restoration. A lake used for the deposition of PFA. 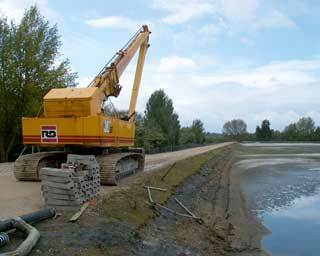 This is lake ‘G’ in 2003..
Digger on the shores of Lake ‘G’ in May 2003.